You are getting close to the end of May!! What will you do next?? 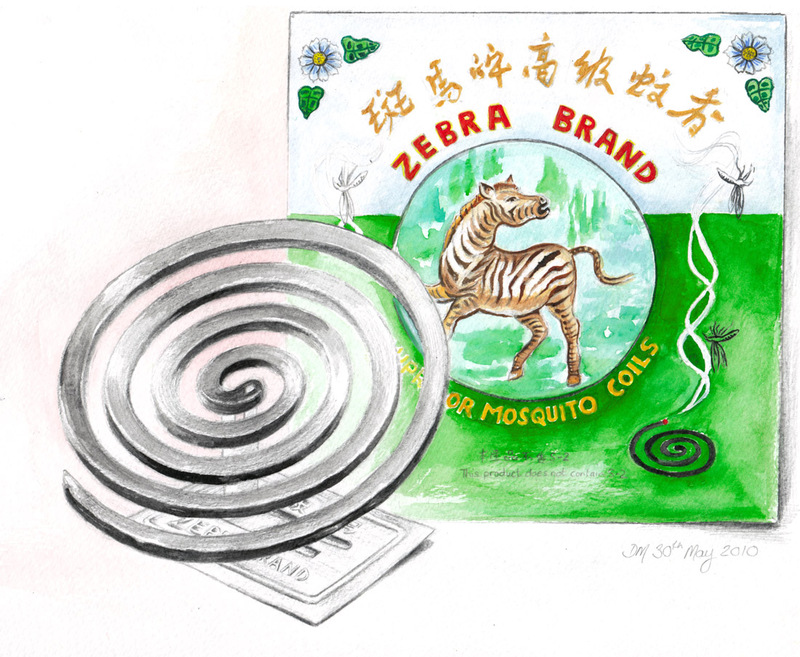 I hate mosquito coils, I hate mosquitos more, but I like this painting Debra. I'm not familiar with mosquito coils. So, not only have I enjoyed your drawing, I've learned something. 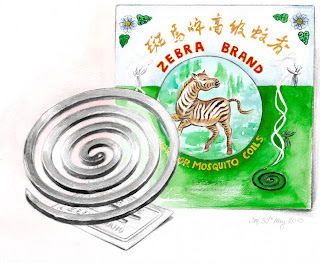 I quite agree Sue...I don't like mosquito coils (they're very harsh Sandra)and usually use citronella oil but bought these for the packaging. I'm not sure what I'm going to do tomorrow (except cleaning and having a day off!) but do have a few ideas I want to work on. Never seen these things either. How are they harsh? The smell? Are they a bug zapper? I'll do anything to get rid of those bugs, LOL Great sketch!